It is the most common type of personal injury cases handled by law firms. These kind of cases involve cars, trucks, motorcycles or any other kind of motor vehicles. Automobile accidents can cause devastating injuries, leaving victims temporarily or permanently disabled. The exact cause of an auto accident is not always obvious. Sometimes it's the driver's fault, but other times either it's the fault of the state, city responsible for keeping the roads repaired and safe or even the manufacturer of the vehicle. People injured in an auto accident, due to the fault entirely or in part of someone else, are entitled to be compensated for their injuries. 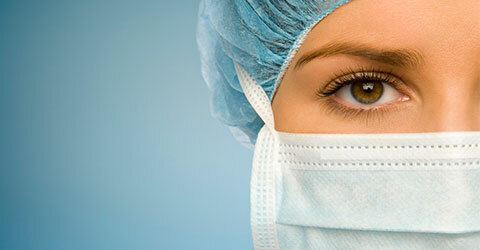 Medical malpractice is defined as the failure of a health care provider to follow appropriate and accepted practice, which results in an injury to the patient. Medical Malpractice may occur during office visits to doctors and other health care providers, in hospitals or in pharmacies. The failure to meet the standard of care or negligence, must result in an injury to or it must lead to death of a patient. When something goes wrong because a health care provider has been negligent, patients can seek recourse through a medical malpractice lawsuit. Complex medical malpractice suits require skilled trial attorneys to produce winning results and Weitzman Law Offices, L.L.C. has vast experience trying such cases. Our experts review our client's claim in order to build a solid case and make such necessary preparations as to counter defense arguments presented by doctor and hospital lawyers. Premises accidents involve injuries while shopping, dining or conducting business on the premises of property owned or controlled by another. These cases can take many forms. Shoppers can slip and fall over debris or water that accumulated after a store employee mopped the floor. A person can walk down stairs that collapse as a result of faulty design, construction or maintenance. Even dog bites qualify as premises accidents, since dog owners have a responsibility for the dangers posed by their dogs. In order for you to be successful in a slip and fall case, your attorney must be able to prove that someone was negligent. 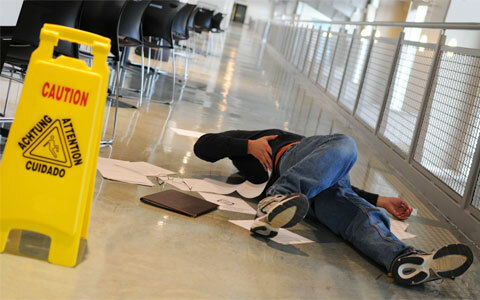 There are many laws governing slip and fall cases. 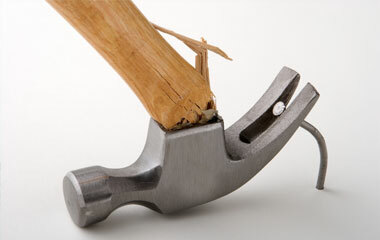 Generally, property must be maintained in a reasonably safe condition. The party who is responsible for maintaining the property is not necessarily the owner of the property. The responsible party is the owner unless this responsibility has been shifted to someone else through a contract. An example of this might be a tenant if the lease states that the tenant assumes responsibility for maintenance of the property. A wrongful death can be defined as death that is caused by the wrongful act or negligence of another and that serves as the basis for a civil action for damages on behalf of the decedent's heirs. After a wrongful death lawsuit, the portion of a judgment is intended to compensate the plaintiff for having to live without the deceased person. The compensation is intended to cover the earnings and the emotional comfort and support the deceased person would have provided. Products liability is an ever changing area of law often involving complex litigation and expense. When a manufacturer or distributor places a product into the marketplace to be used by the general public, unfortunately, accidents happen. These accidents are often due to the fact that the product is defective. Product liability comprises a number of laws and court rulings that apply to any business that makes or sells a product. Businesses that make or sell products are responsible for ensuring that those products are safe and do not pose a hazard to the public. Such businesses can be held liable for any damage or harm their products might cause. The devastating effect of an injury to an individual caused by a defective product requires that manufacturers be held accountable. If your attorney can demonstrate that a product was defective and that the defect was a substantial factor in causing your injuries, then you may be entitled to compensation. Employment discrimination occurs when employers (or unions or employment agencies) illegally single out employees and job candidates because of that employee's race, gender, national origin, religion, disability, sexual preference or to retaliate against an employee for complaining about discrimination. Firings or demotions, failure to hire or promote, adverse working conditions or harassment; these events can be the grounds for a case of employment discrimination. Employees who have been harassed or subjected to adverse employment decisions can bring a lawsuit for damages and other relief, such as getting his or her job back after being fired or singled out. Construction yards can be among the most dangerous places to work. Toxic materials can contaminate the air around you and heavy loads are constantly being moved around. If you've been injured while working on a construction site, our lawyers can help you recover damages to pay for medical bills, lost income and pain and suffering.